How do I report Z-score data in APA style? Home > How do I report Z-score data in APA style? It’s a good idea to report three main things in an APA style results section when it comes to z-scores. Doing so will help your reader more fully understand your results. You want to tell your reader what type of analysis you conducted. You also want to tell your reader why this particular analysis was used. What did your analysis tests for? 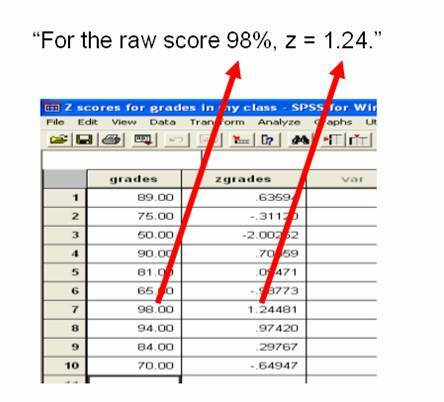 It is most likely that you will want to tell your readers the values for a particular raw score and its’ corresponding z-score. You can report data from your own experiments by using the template below. Fill in the raw score and corresponding z-score.